At least 40 different bottles of whisky – ‘enough to fill a bath’ – are being donated by distillers and bottlers for a World Whisky Day charity raffle. The total collection, worth approximately £2,000, contains bottles donated by Edrington, Chivas Brothers, Dewar’s, Angus Dundee and International Beverage. Although the collection is mostly Scotch, it does contain bottles of Irish whiskey Powers Three Swallows and British blended whisky The One, from Lakes distillery. The raffle is being held in aid of safe water charity Just a Drop, and will run throughout the month of May in celebration of World Whisky Day, held on 19 May this year. 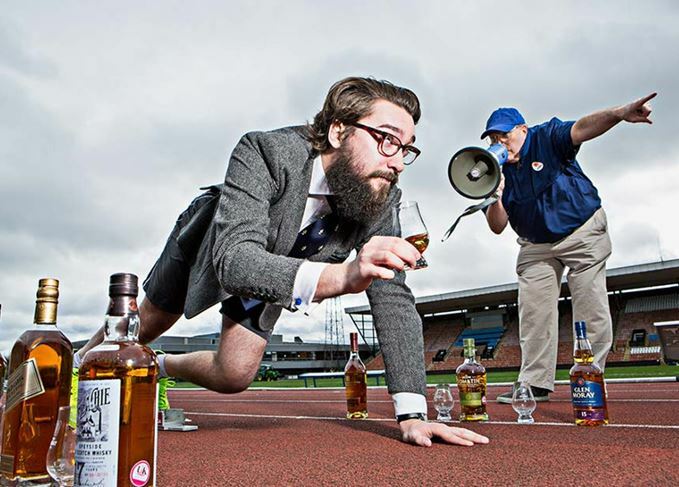 Blair Bowman, whisky writer, consultant and founder of World Whisky Day, said: ‘You could win at least 40 bottles of whisky but, if you don’t, you will help transform the lives of people who currently don’t have access to clean, safe water. Last year’s raffle raised over £11,000 to support the charity, which helped provide sustainable clean water solutions to underprivileged communities worldwide. Online tickets cost only £1 each and participants can purchase as many as they want, provided they are over the legal drinking age. Entries close on 31 May, while the draw to decide the winner of the collection will be held on 4 June.